In the previous blog entries we’ve gone over some of the different forms of Distracted Driving. In this entry we will focus on the most common of all: Phones and other Devices. Distraction by these devices can cause serious accidents and all to often the results are deadly. More than ever before, people are on their various smart phones while driving. Whether it’s holding the phone up to the side of their head while talking or glancing down at it while texting or hanging out on social media sites, people are NOT focusing enough on driving. Our best bet to not be a part of the problem is to pull over to respond to something important or WAIT until we get to our destination. GPS devices are a terrific upgrade from the days of the paper maps and are so common that they are available as an option in many vehicles. The problem is that they encourage the drivers themselves to be the navigator, which inevitably will take their eyes off of the road. If you need to use one of these, please try to just follow the voice commands and if things get confusing, pull over to sort it out. Many people use entertainment devices like iPods for music, podcasts, audiobooks etc.. A little music or interesting podcast is okay to help pass the time in traffic, we just need to make sure that it is not a priority over driving and to avoid using earbuds. Warning sounds like sirens or car horns can be important and require swift reaction time. 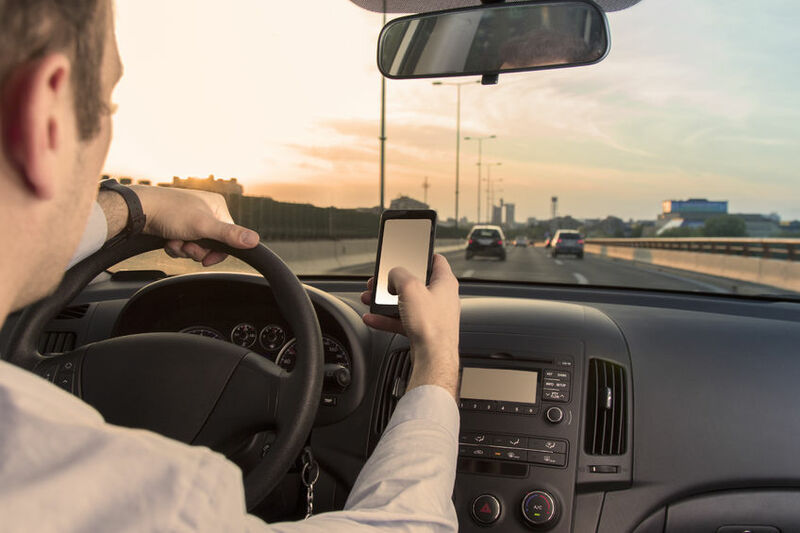 If you or a loved one has been injured by the negligence of a Distracted Driver, please don’t hesitate to contact us to speak with one of our experienced attorneys.